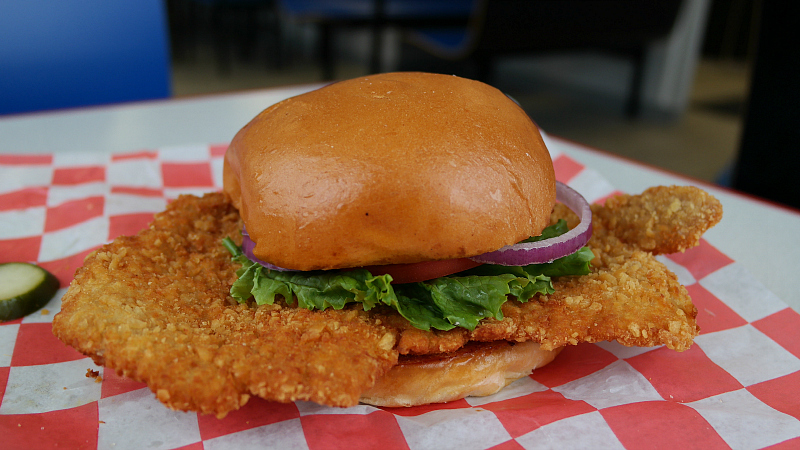 My network of informants recently told me of a new roadside grill in Story County with a menu item titled the Hubcap Tenderloin. Checking out their social media accounts confirmed this was a place I needed to visit. Location: 504 E 1st St in Huxley, just up highway 69 from Ankeny. Directions: This is just a block east of the main drag through town between Ames and Huxley. 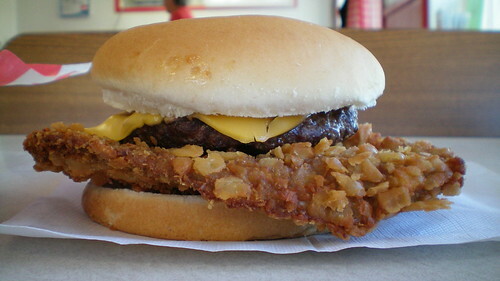 The Tenderloin: This is listed on the menu as Hubcap Tenderloin, and nearly everyone in the place was eating one. The white pork loin meat was thin cut and pounded into a wide disc of pork. The softness of the thin cut was exceptional, as most places with super thin loins wind up with stiff meat. The crackerlike breading was only slightly seasoned. Served on a very soft, buttered toasted roll. Overall 8.0 out of ten. Price: $9.51 with a side of fries and a drink. Also on the menu: Burgers and sandwiches make up most of the menu along with ice cream and desserts, and the macaroni and cheese is available as a side or main or even fried. The Wednesday special is Kumla. Service: Its counter service with food brought to your table. Ambiance: I would guess this building was once a Dairy Queen, there are old booths for seating. The renovation is between an old fast food grill with new paint and posters or Marilyn Monroe or James Dean on the walls. 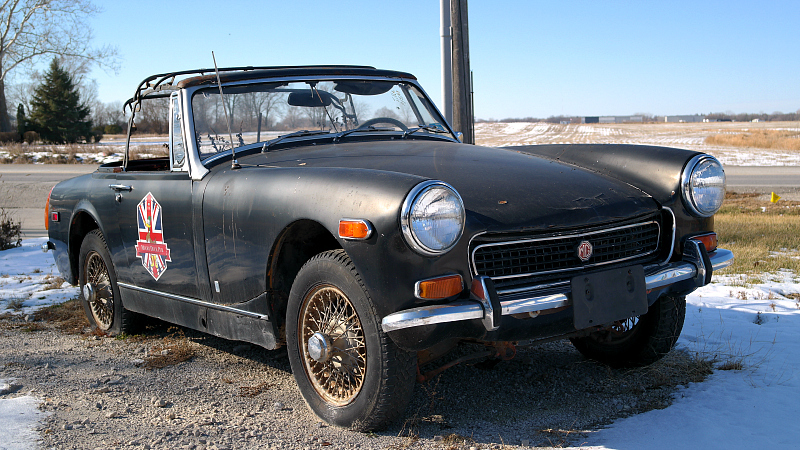 Final Thoughts: Its always nice to find a new place in a small town so close to Des Moines. 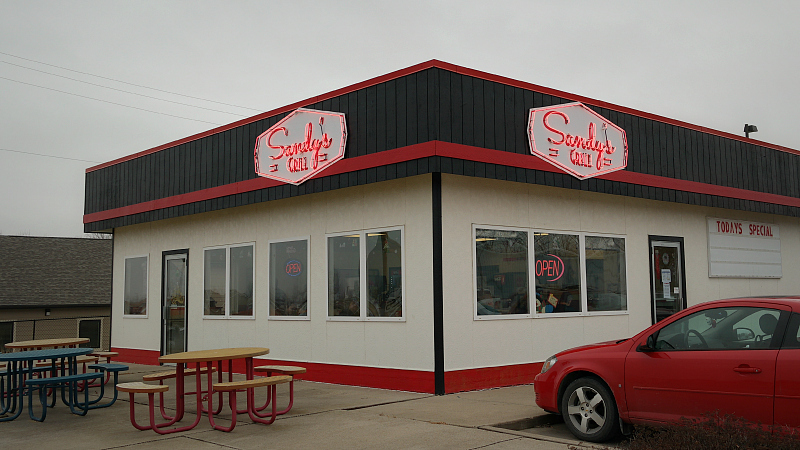 Sandy's is much better than the Dairy Queen or whatever used to be in this building, but I still don't know what Kumla is. 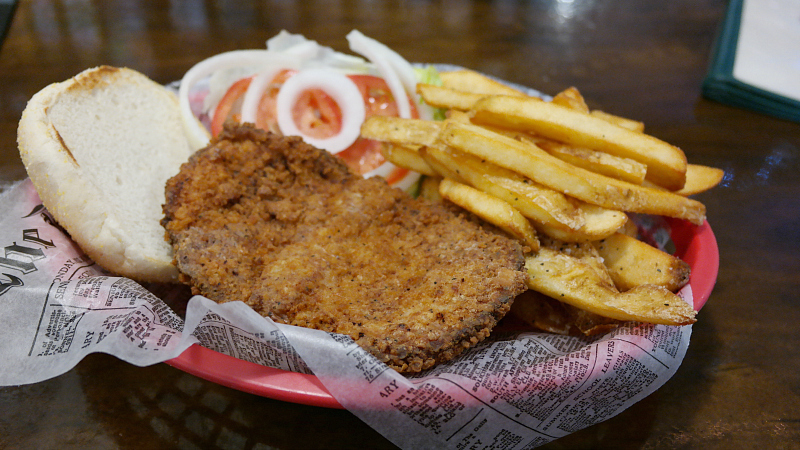 I've now eat along Highway 210 and found good homemade tenderloins in Woodward, Madrid, Slater, and Huxley. I may need to find one in Cambridge or Maxwell now to make my trek across this road complete. 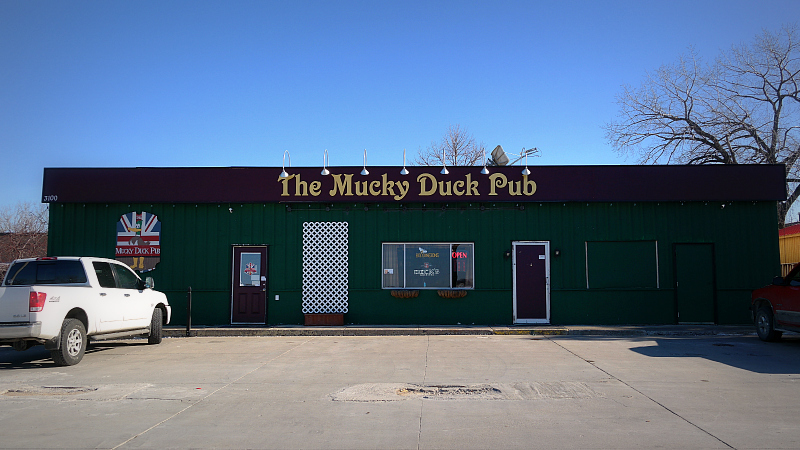 The people who run the Mucky Duck pub in Ames have been at it for a while now. I have seen the ads for Ames British Foods in Cityview or Relish for years, and later their business was named The Chip Shop, and now the Mucky Duck. 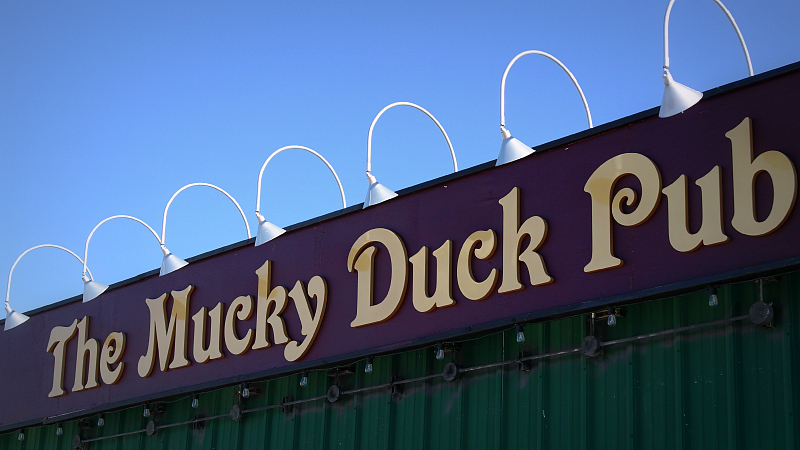 The sign above The Mucky Duck Pub has the name of all three entities. 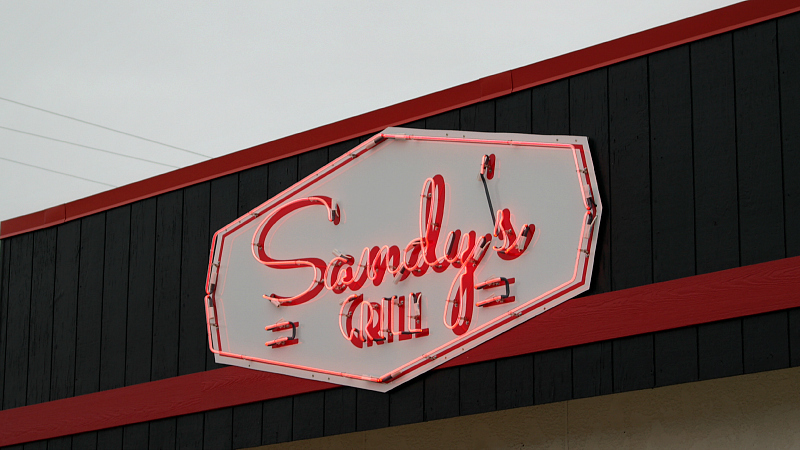 Location: 3100 South Duff Ave in Ames, Story County in Central Iowa, about a half hour north of Des Moines. Directions: You can take highway 69 north from Ankeny or turn south of Duff from Highway 30. 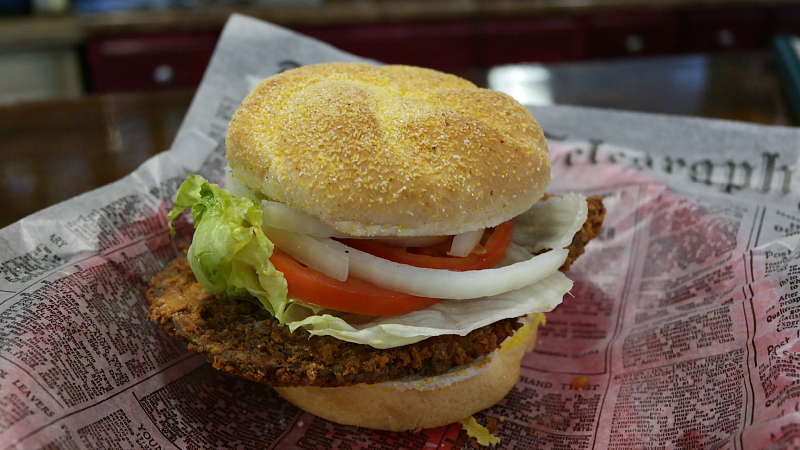 The Tenderloin: The breading had some seasoning but no taste notes stood out, and it had just a dry crunchy and dusty texture. The meat inside was also dry, and the whole sandwich felt dry. I left wondering if this could have turned out better with the fish and chips batter. 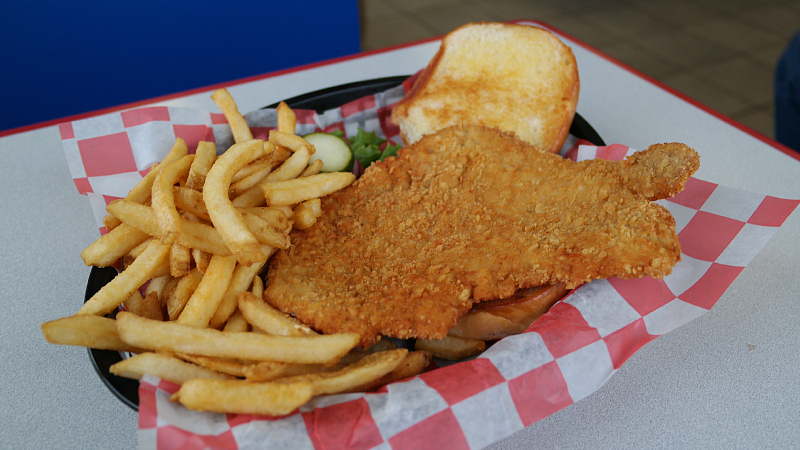 I have found many of the best tenderloins to be made with the light airy batter that fish and chips are known for. I just think this is a missed opportunity of a sandwich. Served on a toasted Kaiser roll. Overall 6.5 out of ten. Price: served with the extra thick french fries with above average salt and pepper. 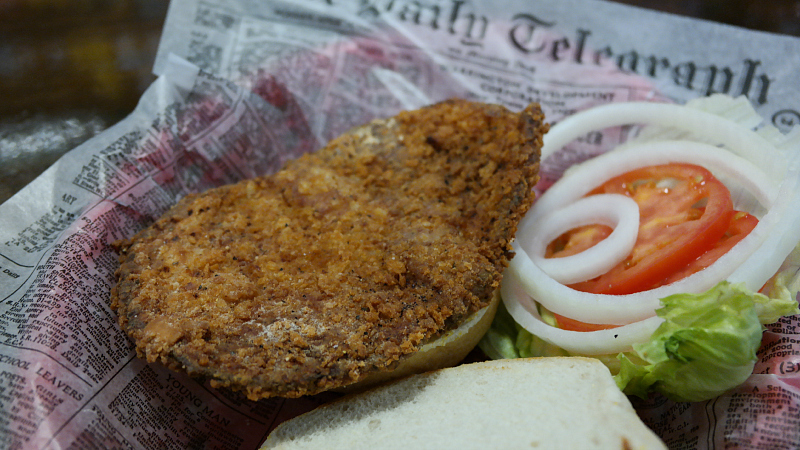 Also on the menu: The fish and chips is the specialty, but they have a large menu with several British favorites that aren't available elsewhere in Central Iowa. Bangers and mash, Cornish pasty, scotch eggs English muffins, crumpets and more. Drinks include loose leaf English teas, a huge selection of imported beers. Part of the interior is Ames British Foods, which is a handful of shelves stocked with English foods. Service: There was a guy with an English accent running the bar and taking orders and another person in the kitchen. Ambiance: The building was once a gas station, and the remodel feels half done. The bar is bricks, the walls are covered with posters of The Beattles or the Queen. Seating is at the bar or tables. There are other British style pubs that do a better job with dark woodwork or booths or heavy stools.